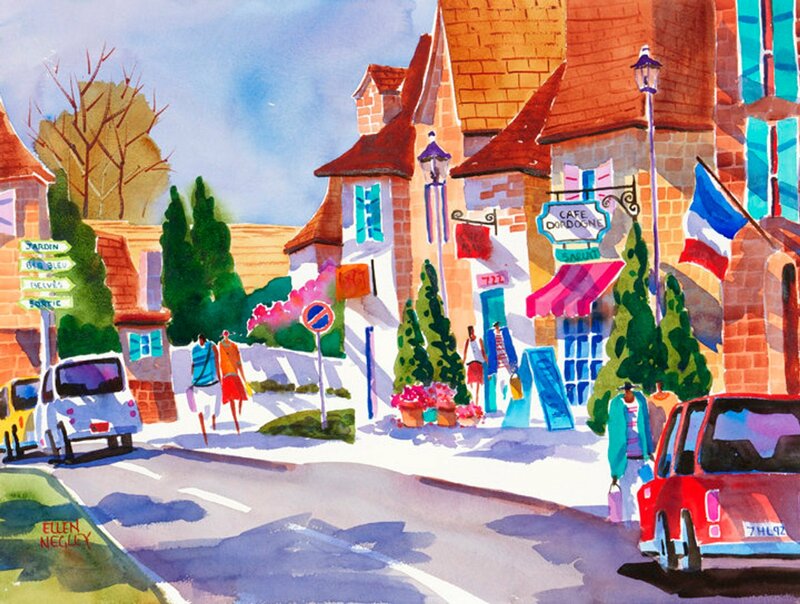 I painted this after visiting France with my husband. We rented a car and visited lots of small towns. The scenery was overflowing with charm. I loved all the little cafes and colorful flowers that spilled over balconies.